Coastal Zone Management Authority and Institute (CZMA/I) has announced that Hercules and Woody will both be relocated by next week. The once stranded manatees have much in common as both males have experienced the trauma of abandonment, rescue, and long trips to new habitats for rehabilitation. However, as of next Thursday, they will have much more in common as they will share an expansive pen in the Southern Lagoon at Gales Point Manatee. Hercules, now almost two years old, was rescued from a canal in Vista del Mar by Coastal Zone Management Authority and Institute's Manatee Researcher, Nicole Auil and two other members of the Belize Marine Mammal Stranding Network (BMMSN). A week later he was transported to the Xcaret ecological park in Mexico for rehabilitation as long-term care could not be offered in Belize. There he steadily improved and is doing quite well. 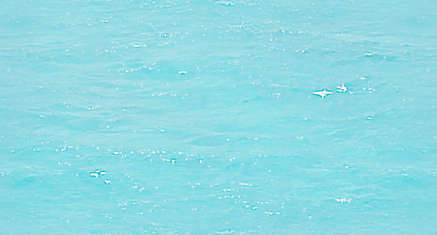 This was witnessed just two weeks ago by the San Pedro Sun on a visit to Xcaret. Woody was found only a few months later, in October, near the shore at Buttonwood Bay. He remained in the care of BMMSN members and volunteers for approximately two weeks before being transferred to the Belize Zoo for long-term care. However, due to his need for large amounts of water and food, the Zoo was unable to keep Woody and he had to be moved. His new home has been Sarteneja Village in northern Belize, where he was cared for by Wildtracks, a volunteer organization, and later by Angeline Valentine with assistance from Wildtracks. Following the rescue of both Hercules and Woody it was anticipated that by their second birthdays, depending on their health status, both manatees would be moved to a new home. However, due to unforeseen circumstances, they will be moving a few months earlier than anticipated. 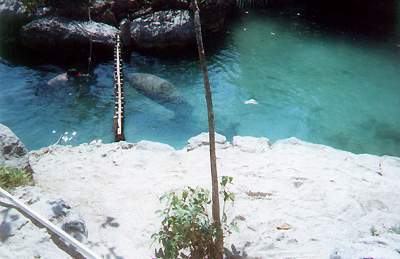 It is expected that relocating the manatees will be a learning experience for each as both have been living in isolation and are therefore unfamiliar with other manatees. After a period of time, Hercules and Woody will be released into the wild, outfitted with tags that will allow them to be tracked via satellite for monitoring and evaluation. Unfortunately, a recent oil spill into the Quamina Creek near Gales Point Manatee delayed the relocation of these manatees. According to reports, 8,000 gallons of bunker fuel was emptied into the Quamina Creek, after a Mexican "bowser" hauling two oil tanks, each containing 4,000 gallons of fuel, ran off the bridge that spans the creek at Mile 22 on the Belize Coastal Road. The oil spread about one mile before it was contained the following day by the Department of Environment. Clean up efforts to clear this area are now complete. The San Pedro Sun verified with Nicole Auil of CZMA/I that Woody is being transferred today, May 3rd and Hercules will be transported next Thursday, May 10th.